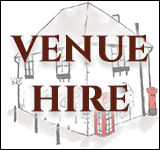 Deadline looms for West Eynsham 14 Sep 2018 Consultation closes on WODC's planning issues paper for the West Eynsham Strategic Development Area on September 21st 2018. On Sunday 9th September local residents enjoyed a gentle walk along Chilbridge Road and a picnic in the golden fields earmarked for future “West Eynsham.” It was a beautiful afternoon and we were reminded of the simple pleasures offered by the countryside that surrounds us, and the remarkable diversity of wild flowers, insects, and butterflies in our local area. The purpose of the walk was to see for ourselves of what we stand to lose when the 1000 house “West Eynsham” development is built and to think about how the new development might best be integrated into the existing village. While the many children present took the opportunity to play together in the long grass, we discussed the most important issues raised in WODC’s Planning Issues Paper for the West Eynsham Strategic Development Area and how to respond. 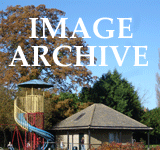 West Oxfordshire District Council’s planning issues paper can be found here. The EPIC team has written its own comprehensive response to the paper, which you are also free to read. 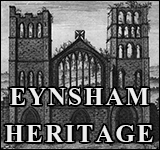 Eynsham Parish Council's own full response is also on Eynsham Online. While this development is almost certain to go ahead now that the West Oxfordshire Local Plan has been approved by the Government's Planning Inspectorate and is soon likely to be formally adopted by WODC, this consultation gives us the chance to have our say on what we think is most important and needs to be written in to the plans for Eynsham. 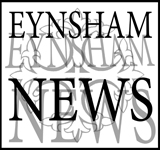 If you care about affordable housing, schooling, traffic, shops, facilities, community, or countryside, don’t miss out on your chance to shape Eynsham’s future! Deadline: 5pm, Friday 21st September 2018. NB: The West Eynsham development is being considered separately from the Oxfordshire Cotswolds Garden Village on the North side of Eynsham's A40, so even if you have already submitted a response to the Garden Village plans you do still need to respond to the West Eynsham plans – although we strongly urge that WODC considers all development in Eynsham under the same area action plan.